Indian Point where our villa islocated is just 1 Mile from Hwy. 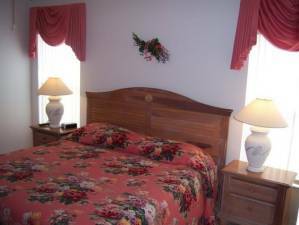 192 and less than 8 Mile from Walt Disney World, 2 Master en-suite Bedrooms with King Size Bed, telephones, Alarm Clocks and all bedrooms have fans and air-conditioning. A good selection of Cable TV, Hi-fi Video, DVD, Answer Phone and a host of kitchen appliances, and all the items you would expect in an executive villa. 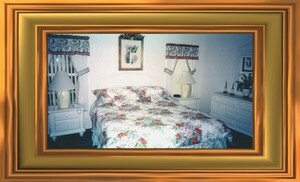 The Furniture & Decor is Executive Standard. The Pool area is enclosed and has plenty of room for sunbathing and the 30' x 15' pool * Hot Tub can be gas heated at an extra cost The Villa is large and all on one floor. 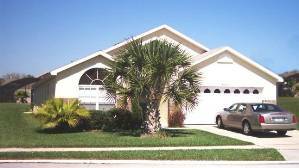 On behalf of my family I would like to express our gratitude for letting us use your villa during our Orlando Vacation (4/5 to 4/14 2012). Unfortunately didn't have time to leave a note in the guest book, but I couldn't NOT write to tell you how much my family and I enjoyed our stay at your Villa. The level of service was ASTOUNDING. Management were very helpful when I called Monday to inquire about the Playstation and (mistaken) lack of towels, but what I really found unbelievable was Gary coming to the house at 9:30pm to bring the missing cord for the Playstation. From start to finish we enjoyed the properties immensely. It will probably be awhile before I get to Florida again, but if you'll have us as return guests we'll never stay anywhere else. Also, I intentionally left a waffle iron at the house. My family loves them so I purchased one to leave there - just wanted you to know in case you want to add it to your list of appliances. From the initial planning of this vacation last summer you have been wonderful. Your patience in answering my seemingly endless questions has been appreciated from the start. Whereas I believe some owners strictly rent for profit, you honestly care about your guests enjoying themselves. I can't thank you enough for your part in making my **th birthday the most memorable of my life. Just want to tell you that you have a lovely house. My family really enjoy our stay. We would like to book with you from now on when you visit Florida. Our visit to your villa was absolutely wonderful! The villa is beautiful and very conveniently located to all the attractions! There was plenty of room for the three families and provided just the right amount of privacy if we needed it. 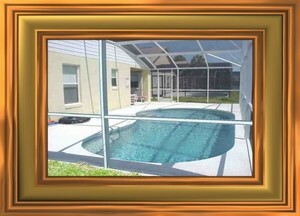 The kids loved having a pool right at their backdoor! We will definitely be staying there on our next trip to Florida. Thanks so much for sharing your wonderful villa! Holly, Don, and family and friends. This house was everything and more I thought it would be. The home was very clean and fresh looking. 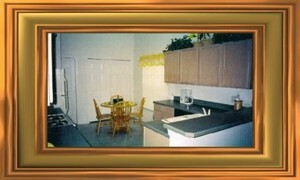 The service was remarkable and courteous when we needed them to come over and help us. I would also like to say how helpful Mr. and Mrs. Smith were in making our vacation a successful one. We will be booking our vacation with them again. One last thing- the hot tub and pool was the cherry on top of the sundae. Water temp. was like bath water. We used the pool facilities everyday and night. 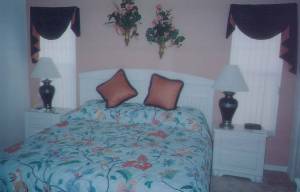 Plan your next vacation with Mr. and Mrs. Ken Smith Orlando Villa and you will not be sorry! Dear Ken and Julia, Thank you so much for your hospitality. The villa was absolutely wonderful and so was the service. The pictures don't do your villa justice. We were amazed at how spacious and well decorated it was. We will never stay in a hotel at Disney ever again. My family and I had a blast. Believe me when I tell you, We are a walking advertisement for you. We've told all our friends about your place. The Walmart was awesome. My suggestion is to buy all your Disney souvenirs there. Buying the gifts on the Disney property is too costly. If you need a reference they can e-mail us at Lnbwest@aol.com. Thanks again!! We absolutely love you guys and look forward to staying at your villa again!!! Deposit: $300 deposit. $150 security deposit. Cancellations and Refunds: See our Terms and Conditions.